LYNDON, Vt. — It’s the “Summer of Solzhenitsyn,” and to celebrate what would have been the Russian author’s 100th birthday, Northern Vermont University is hosting the first inaugural “Reading Solzhenitsyn” conference. One hundred years after his birth, the ideas and works of Russian novelist and historian Aleksandr Solzhenitsyn have become more relevant than ever. The debate between conservatives and leftists has become especially turbulent and fractured since the election of President Donald Trump, and openly socialist ideals haven’t been as popular in American politics since the time of Eugene Debbs — the early 1900s. A quarter-century after the dissolution of the oppressive Soviet Union and the end of the paranoid and divisive Cold War, members of the public, and particularly young people, have seemingly become enchanted with Marxism. 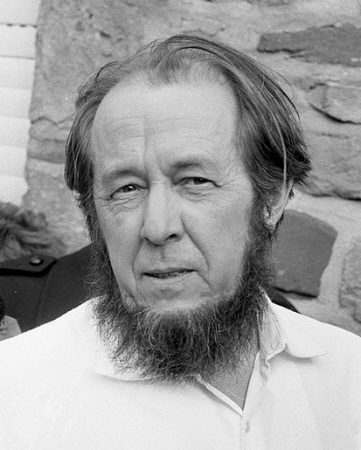 For writing the truth about the oppressive nature of communism and critiquing the Soviet government, Solzhenitsyn was exiled from his home country and eventually moved to Cavendish, Vermont, where he lived from 1976 to 1993. He received Russian citizenship in the 1990s and lived in Russia until his death in 2008. Solzhenitsyn’s works are required reading in the Russian school system, and are a similar requirement in many American schools as well. Additionally, popular academics on the internet and television, such as Jordan Peterson, have begun talking more and more about Solzhenitsyn’s brutally honest assessment of the excesses of communism — in contrast to the Santa Claus-like socialism peddled by Bernie Sanders, Alexandria Ocasio-Cortez and others. On Sept. 7-8, at the Alexander Twilight Theatre on NVU’s Lyndon campus, professors from Vermont, the United States, Russia and China will hold symposiums on the life and works of the Russian novelist and historian. The conference will feature the opening of an exhibition on Solzhenitsyn in the university’s Samuel Read Hall Library, and a professional development seminar on how to teach Solzhenitsyn’s works also will be held. The conference is being organized by NVU history professor Dr. Alexandre Strokanov. Since moving to Vermont in 2000, Strokanov has studied Solzhenitsyn’s special connection to the Green Mountain State, and desired to organize an event that would allow scholars to discuss his works in the 21st century and beyond. Strokanov told True North Reports he hopes the conference will not only focus on Solzhenitsyn and his historical legacy, but also act as a foundation for a continuing dialogue. “Bringing attention to Solzhenitsyn and his works is a way to bring about a scholarly discussion on Russia and the United States,” he said. Strokanov will give a presentation on “A World Split Apart,” a commencement address Solzhenitsyn delivered at Harvard University in 1978 that lays out his vision for a Russia after communism. “Russia under Putin is still developing towards this vision, so to better understand Putin and Russia, read Solzhenitsyn,” the professor said. According to Strokanov, Solzhenitsyn was a traditionalist — a so-called slavophile — who idealized Imperial Russia, held a great dislike of communism and was wary of the idea of liberal democracy as a social panacea. Today, this wariness is reflected in the political situation of Europe, where groups of individuals and politicians are actively working to weaken once-trusted liberal institutions. Northern Vermont University is the name of a new institution formed by merging the administration and faculty of Lyndon State and Johnson State college. The merger, spearheaded by Vermont State College Chancellor Jeb Spaulding and former Lyndon State College President Joe Bertolino, has been controversial, but Strokanov says he’s optimistic about the change. 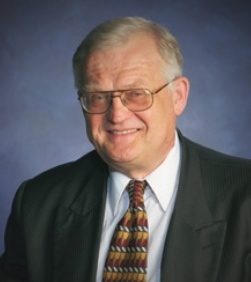 “I want to make NVU a full, working university where ongoing research is supported and open scholarly discussion is always welcomed and appreciated,” he said. Strokanov points out that Voice of America — the U.S. government’s international public broadcaster — is coming to film a documentary on the conference, as has been reported in the New York Times and the Washington Post. He said he hopes the conference will show people that Northern Vermont University is “a great university” that attracts scholars from all over the world. The main event runs 9 a.m. to 4:30 p.m. Friday, Sept. 7 at the Alexander Twilight Theatre on NVU’s Lyndon campus; the event is open to the public with a conference fee of $75 that includes lunch. Additional discussions by Solzhenitsyn experts will be held 9 a.m. to 1 p.m. Saturday, Sept. 8, and are free and open to the public. August 27, 2018 in Events. This mans writings based on personal experience & the truth in regards to the inside workings of the USSR & the sufferings of all the peoples oppressed & subjagated under the Socialist / Communist systems that was to bring utopia, with even some Nations collapsing nowadays because of the lies & smoke blown up the people’s rearend by rich Socialist elites. His documents should be required reading or at the very least studied in class or publicly in Southern Vermont. The kids, young adults, sheeple, whatever they are that Windham County Supervisory Union is graduating every year from their diploma mills are truly getting dumber & dumber & above all they are some of the most selfish self entitled people who haven’t been taught anything anywhere close to the value tax payers are paying. Kids are learning nothing as in almost zero, to do with learning actual life skills, a trade, morals and not even how to be an honest productive hard working individual who earns everything they have & also a basic understanding of US law (ie. The US Constitution). Instead kids are really good at reciting hateful fact-less leftist propaganda stating they love & believe in the promises of Socialism who want everything free decide who gets what freedoms & rights then they want to force their beliefs on everyone by law while disregarding laws we already have all while they want their safe spaces with sippie cups & crying closets all the while they arent told Socialist Commie systems always fail because they run out out of ither peoples money. Also I believe Brattleboro is breaking the law by allowing 16 & 17 year olds to sign petitions they are not legal age voters currently to be able sign petitions vote or run for office..